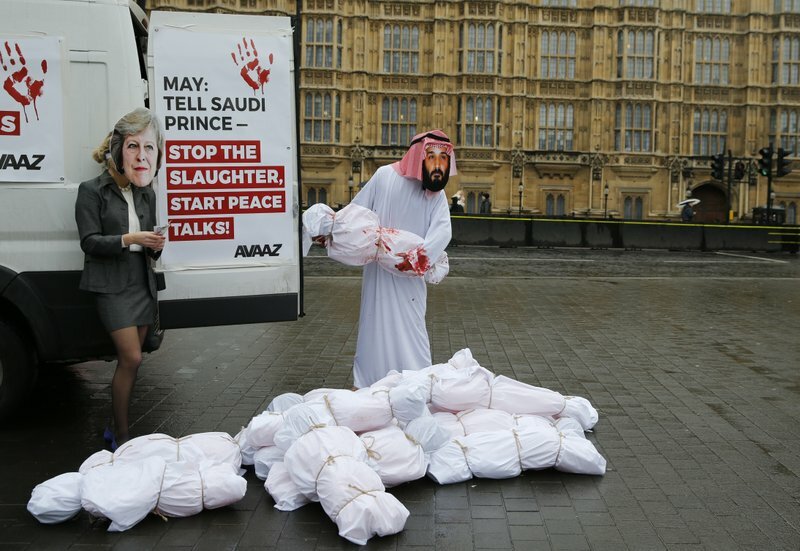 Saudi Arabia’s crown prince was being greeted by Queen Elizabeth II, and met by protesters against the war in Yemen, as he began a three-day visit to Britain on Wednesday. Britain is rolling out the red carpet for Crown Prince Mohammed bin Salman, who will have lunch with the queen at Buckingham Palace and dine later with Prince Charles and Prince William. He is also due to meet with Prime Minister Theresa May, who said she would raise concerns about human rights during talks at 10 Downing St. Critics say Britain has been slow to condemn rights abuses by Saudi Arabia, a key regional ally and major purchaser of UK-made weapons. Campaigners against the war rallied near Parliament and said they would protest later outside the gates of Downing St. The crown prince has shaken up his deeply conservative country since he became heir apparent to King Salman last year. The 32-year-old royal swiftly consolidated power by sidelining rivals and stepped up Saudi Arabia’s rivalry with Iran. He has also has pushed through a number of dramatic social reforms including allowing women to drive and lifting a ban on movie theaters.